Paying off debt gives you relief and you get to enjoy life with your loved ones. Here are 36 tips that can help you to get out of debt fast. Write down all your debts in a spreadsheet indicating the name of the creditor, each balance and the interest rate. Cancel out every debt you pay off and add other new debts. This will motivate you to pay off all your debts. It is impossible to keep track of your spending when you use credit cards to purchase everything. Record your purchases for a month to see where your money goes. Look for ways through which you can get extra cash that you can use to pay off other bills. The more you contribute towards paying off your debt, the faster you will clear all your debts. You can hold a garage sale to sell off the items that you no longer need. You will have more money that you can channel towards paying off the debt. Use your tax withholding to get extra cash to pay off your debt. You can change it so that you get extra cash each week instead of waiting till the end of the year. Before you make any purchases, try to bargain to see if you could save a few bucks. You could then use the money to do something meaningful. Pay more towards your debt and it will take a shorter time to clear all the debts. If you pay the minimum amount alone, it will take longer to finish paying the debt and it will be more expensive. Come up with a budget that takes care of all your monthly expenses. Prioritize the items on the budget and then review it to check if you have added any unnecessary items. Use money to pay for your shopping. This will enable you to buy those products for which you have budgeted. Celebrate your achievement no matter how small they may be. This can give you strength to finish paying off your debt. Avoid skipping payments to creditors to avoid being penalized. This will also keep your debt from growing larger. Keep your credit cards in a place where you cannot reach them easily. You will not be tempted to use them because you cannot see them. Calculate how much the credit cards would cost you in the long run and proceed to make the necessary payments. Look for cheaper housing if you live in a rented house or apartment. You will save money you could use for other projects. Use your talent to make money. For example, if you are good at singing, you could entertain people in weddings or restaurants for a fee. You can offer tutorials from the comfort of your home. You could use the cash you earn to pay for other things. Negotiate with your employer to work extra hours. You will make more, which will help you to pay bills other than your debts. During your free time, you can make beautiful gift cards that you could sell locally and get more cash to pay off what you owe. Contact your creditors to negotiate for a lower interest rate. Explain to them about your financial situation and they may be willing to accept your offer. Leisure activities are expensive and you have to dig deeper into your pocket to pay for them. Resort to other cheaper activities such as taking a walk in the park. Transfer your high interest debt to a lower interest card to prevent the interest from accumulating. Be aware of the transfer fee and check to make sure it is not expensive. Have a savings fund for emergencies such as illness and job loss. Emergencies are usually very expensive so it pays to plan for them in advance. Read books that will help you better manage your financial situation. You can get good ideas on how to reduce your debts. There are times when you may lose hope of ever being debt free. Many other people who are trying to pay off all their debts feel the same. Gather strength and push on. Take advantage of opportunities that can help you cut on expenses. Use coupons when purchasing groceries. You will be surprised at how much you can save. This allows you to interact with people and learn how you can clear your debts, too. You also get emotional support because you are all in the same situation. You already have enough to deal with so do not make the situation worse by adding more. If you are a couple working towards reducing the debt, you could live on one income and use the other to pay off your debt. Review your monthly bills to check if you can cut back. You could cancel your cable or satellite service or your broadband Internet connection. You can save on your monthly premium by increasing the deductibles on your car insurance. Then use the cash you’ve saved to pay off what you owe. Let your loved ones know your debt goals so they will help you to be responsible for them. If it is possible, always try to have just one credit card. Shop around for a credit card with a low interest rate. Shop while using a calculator to keep your expenses on track. Each time you make a purchase, deduct it from what you have budgeted. 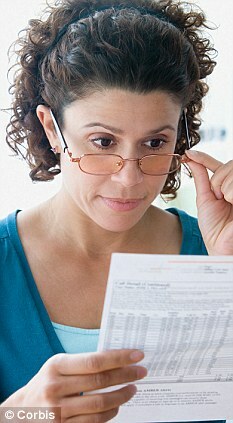 You can pay off debt by simply paying your creditors a lump sum and have the balance written off so you will debt free. This involves taking out a loan to pay off what you owe. You will then make single payments to the debt consolidation company, which is much easier.